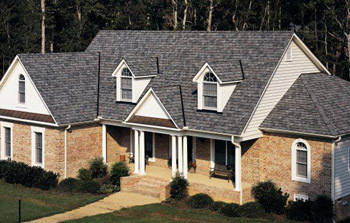 JJA Home Improvement is a Southern MD licensed home improvement contractor of new replacement roofing shingles operating in the St Marys County, Calvert County, Charles County and Prince Georges MD areas. Our professional licensed roofing contractors can replace complete roof and shingles, repair roof from storm damage, identify where water leaks are coming from and repair roof and more. Storm damage deductible help is vailable. Call or email for estimate. 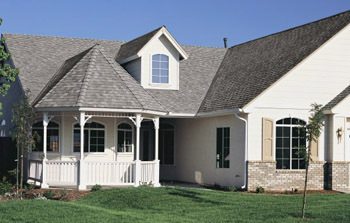 All of CertainTeed's roofing shingle products are covered by standard SureStart protection for a specific period. Under this warranty feature, CertainTeed, at no charge, will repair or replace, at its option, any roofing shingles proven to be defective during the applicable SureStart period (see actual warranty for details). CertainTeed also offers SureStart PLUS, the strongest extended warranty coverage in the roofing industry, which extends the coverage AND duration of the standard SureStart protection when a credentialed contractor installs an Integrity Roof System. Protect your investment and your home - demand The Integrity Roof System, demand a credentialed contractor like JJA Home Improvement, and demand SureStart PLUS.